We’ve got two transit station parking craters in today’s matchup, the fifth contest in Streetsblog’s 2018 Parking Madness tournament. Houston, Lansing, and Providence have advanced to round two so far, with voting still open in Friday’s Greenville vs. Portland car storage slugfest. 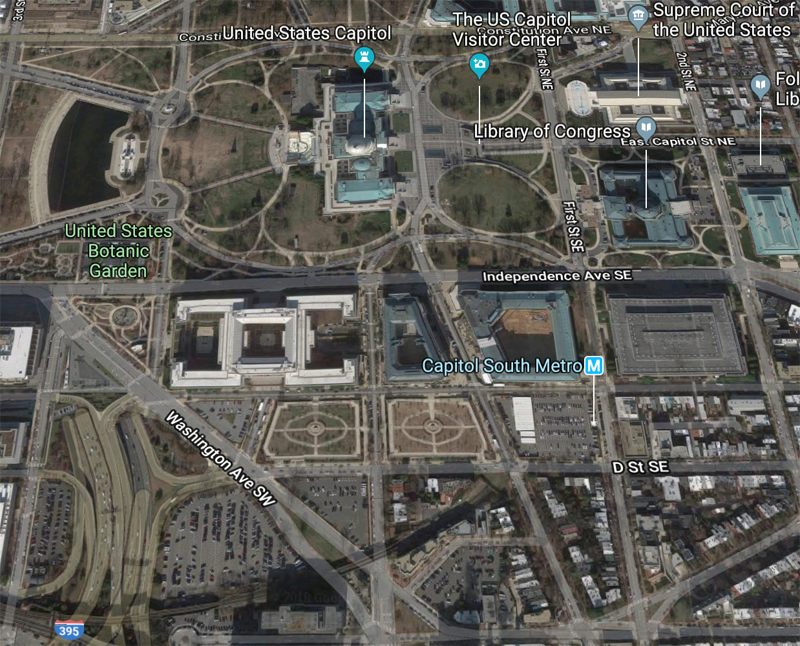 Today’s contest is a sad display of unfulfilled walkability, with one parking crater smack in the center of Washington, DC, and one in an East Bay suburb served by BART. The parking lot around the Capitol South Metro station is the one Yglesias singled out. In the original spirit of the term “parking crater,” it forms a visible depression in the urban fabric. We pulled back the lens in this view since there are more parking lots nearby, and because we want to show the proximity of the nation’s most hallowed institutions. Funnily enough, the area just out of frame north of the Capitol competed in Parking Madness two years ago. Some kind of metaphor. 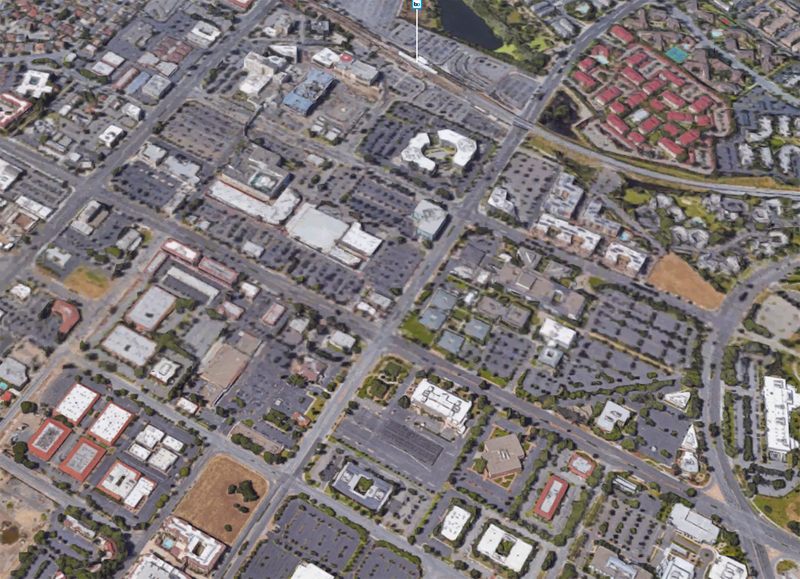 This right here is the area around the BART station in Fremont, California. You can make out the station toward the top of the frame. While BART offers direct service to Oakland and San Francisco from here, the station isn’t exactly anchoring a walkable neighborhood. All that surface parking by a rapid transit station is all the more aggravating in light of California’s severe housing crisis. 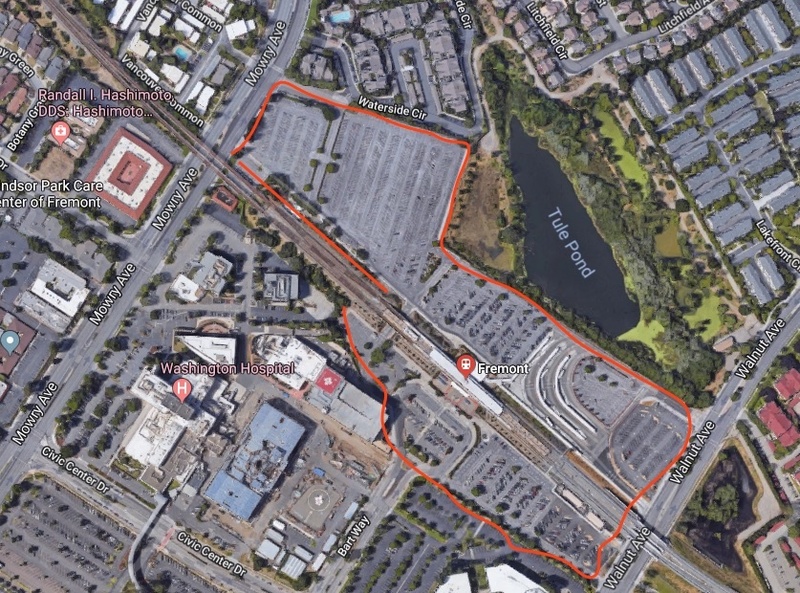 The Fremont station is the latest in a long line of BART stations to compete in Parking Madness, including West Dublin/Pleasanton, Walnut Creek, and El Cerrito. Instead of acre after acre of asphalt, how many thousands of people could be living within walking distance of these four stations? Without further ado, it’s time to vote. It lost to a small parking lot outside the Poughkepsie rail station. Compared to the vast majority of cities, the small parking lot around the U.S capitol isn’t that bad. Its represents a few potential for development, but its not indicative of a vast wasteland of asphalt. Compare that to the multiple blocks of parking lots in Lansing, the capitol of Michigan. In Lansing there is more parking lot space for state employees than developed space. For an able-bodied person, every location in the Fremont picture above should be within a 10-15 minute walk of that BART station. Fremont seriously needs to look at their parking mandates. And that BART station has been there for decades, probably longer than those buildings with the massive parking lots. I vote DC because its dumb parking that is made to benefit Congressional staff who would be just fine taking metro like everyone else.